Toothpaste - Is it the new wonder product? When I was a youngster, toothpaste was a mundane product which principally claimed to strengthen enamel (‘tooth toughener’) and prevent tooth decay (a ‘proven decay fighter’). The sweet Mrs Marsh also once said that only your dentist can give your teeth a better fluoride treatment. Contains twice the whitening ingredient* for stronger, faster, whiter results. Strengthens and restores the enamel to help prevent cavity formation. Builds a therapeutic layer that blocks micro-channels with the first brushing. Oral-B® Gum Care & Extra Fresh promotes healthy gums by fighting plaque bacteria along the gumline and slowing its re-growth whilst addressing the root cause of bad breath. Oral-B® Gum Care & Sensitivity Repair promotes healthy gums by fighting plaque bacteria along the gumline and slowing its re-growth whilst forming a therapeutic layer around the tooth to repair painful sensitivity and prevent future causes of sensitivity. The invigorating sensation of the paste leaves the mouth feeling fresh and clean after use. So, in about 40 years toothpaste has gone from the ugly ducking to the beautiful white swan. Can all the claims made by the toothpaste manufacturers be true or is it based on things associated with toothbrushing (e.g. using a toothbrush rather than a specific benefit of toothpaste)? Having a look at the ingredients (for example Oral B and Colgate) on the boxes are not unique to one particular toothpaste making a specific claim, but are used over many different toothpaste products by the same manufacturer. Have the manufacturers been clever in marketing different toothpaste products with different labelling which in effect do the same thing? Some of the claims may also be concerning such as ‘Fights bacteria for 12 hours’. What happens to my good mouth bacteria which has known benefits…will it also be fought by the toothpaste and cause problems? What do you think, are the claims made by the toothpaste manufacturer’s true or are they full of hot air…and are you concerned with some of the claims made? Good post @phb, will be interested to hear some thoughts on this and any evidence that is provided to back up the claims. Unless they provide evidence of the claims then the default is hot air and Spider Man branding. That evidence would of course have to show that their special formulation achieves all the wonders whereas the same amount of brushing with non-wonderous toothpaste does not. The US CDC advises that around 40% of US children are using too much toothpaste. 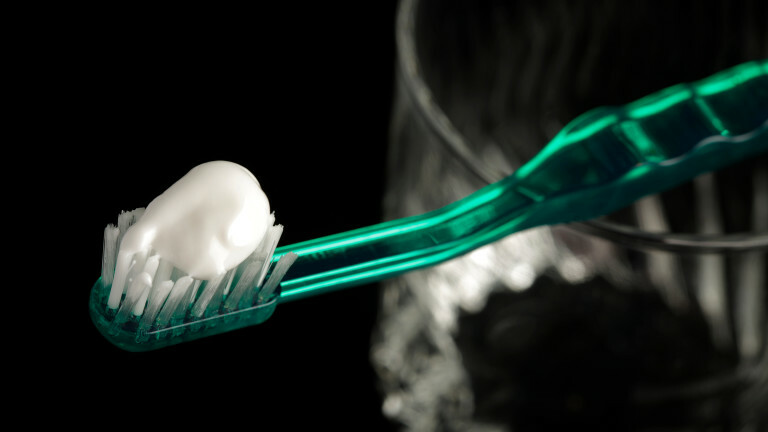 In reality, one should squeeze the toothpaste across the brushing head and not along its length. I have long used the homebrand toothpastes at fraction of the cost. When I compared the active ingredients of the home brand toothpastes in-store they are the identical to the equivalent expensive branded toothpastes. I can’t give you evidence, as we don’t have any brand toothpaste at home to juxtapose with. 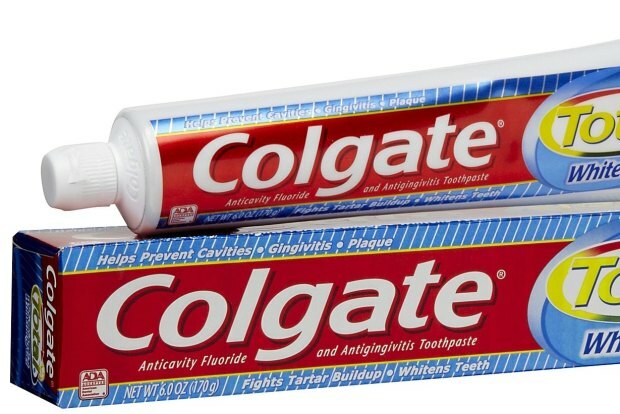 Only in the sensitive type is the formulation much different for fluoride toothpastes as they contain either potassium salts (usually potassium nitrate) to de-sensitise by changing perception of pain or Colgates “Pro Argin” (Arginine is an amino acid found in saliva) + calcium to fill/block the channels in the dentine that mostly cause sensitivity. Notice it is not fluoride that is used in these circumstances though it is in the toothpaste to help re-mineralise the enamel. Actually Saliva does a great job of re-mineralising but many people because of various reasons do not produce adequate saliva to do the job…reasons include too acidic drinks, lack of hydration, drugs that cause “dry mouth” but are not limited to these. You can buy non-fluoridated toothpastes but I have yet to find one that is suited to sensitive teeth usage but I am sure they would be out there. One of the early Gruen TV series related the benefits noted by Colgate that came from TV advertising. The close up shots of a copious amount of paste for the full length of the brush, plus the dangling surplus technique was attributed with a proportionate increase in sales. Coincidently I seem to remember Colgate tooth brush heads getting longer, and definite advice to rinse at the end of brushing! Counter to the current advice. Always had me wondering why as a kid I was always foaming at the mouth when brushing. We were criticised at the time for not using enough or brushing enough. The dentist always seemed to find an excuse for a filling or two! For a household devoid of sugary drinks and salty snack foods with only the Arnotts arrowroot biscuit for relief, you might question the whole dental professional as well? Is the advertising of tooth paste today any more ethical, or medically sound? The length of claims noted by @phb suggests not! Of course they will say it does this that and the other thats going to make your teeth look like a million dollars. Just do your own homework on ingredients in everything and weigh it up yourself. As to find evidence from a independant scientific report out there, thats like finding a needle in a haystack. Is fluoride a poison, natural is ok but man made is allegedly not. Guess what they are using in toothpaste. What we all got to realise is toothpaste or whatever it is is a product made by huge multi nationals who are in business to make money for spending as little as they can get away with, its just pure business, your cant take it personal its just the way the world works. Why the toothpaste companies are selling sophisticated and expensive long toothbrush heads is worth questioning when the Dental Hygienist (a specialist in cleaning teeth) I used to see before the dentist recommended a very small head (child size) for my average women’s sized mouth and used to give me an Oral B one with plain white even bristles (which wasn’t available commercially). My current Dental Hygienist wanted to make sure I was using an electric toothbrush with “small” round heads. These take half the toothpaste regular toothbrushes need to cover the head. And what about the high price of electric toothbrush heads. Toothbrush claims and costs warrant examination too. This dentist https://askthedentist.com/ shares my concern about the ingredients in toothpaste and suggests a homemade toothpaste. He also says that bicarb soda is suitable for brushing. The dentist I worked for as a teenager 40 years ago recommended bicarb soda for brushing teeth stained by smoking. The Australian Dental Association has a “Seal of Approval” which they have granted to big brand toothpastes including Colgate. So what is their evidence that endorsed toothpastes “work exactly as the manufacturer says they do”? And what if there are negative impacts the manufacturer don’t mention? The Australian Dental Association have done the research, can Choice consider it and concerns about negative impacts of toothpaste beyond the fluoride debate? I noticed a few months ago while looking for a toothpaste for sensitive teeth, that Colgate had three toothpastes in this range. In bold on one was for “whitening”; one for “Gums” and a third one I believe was Multi Protection" Being curious I picked up all three packets and checked the ingredients. You guessed it; they were identical. How can a reputable company put out three identical products and give the impression they would do different things. Reminds me of Nurofen that claimed the same identical product targeted different specific pain. But they made the mistake of charging different prices for the various packets of identical ingredients as each was claimed to treat different types of pain. 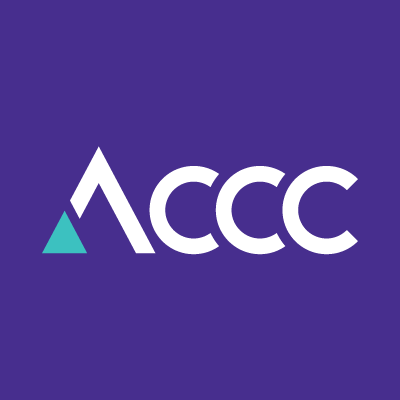 At least that was the case before the ACCC took them to task. Well, I might be wrong but I think fluoride was introduced to the water during my childhood so that may explain the fillings but the main thing is that there are genetic differences. People within the same family, eating the same diet can have completely different filling profiles. The thing that interests me most is your comment about rinsing. Aren’t we supposed to rinse after brushing? Fluoride was not in our water. We had a regular daily dose of fluoride tablets instead! I suspect there was a dental practice of pre-emptively filling molars with amalgam. Professional excuse! Or pre-emptively ensuring the ongoing income of the dentist. Yes, there seems to be a contradiction that as our dental health improves the greater the push to use more dental products, and more dental services. The advice re not rinsing was part of the dental recommendations in the ABC news item. The brush heads of my Braun electric toothbrush are circular (they rotate) and just on 1cm in diameter. I should think the toothpaste manufacturers detest them. An article regarding research into toothpaste affecting the effectiveness of antibiotics. 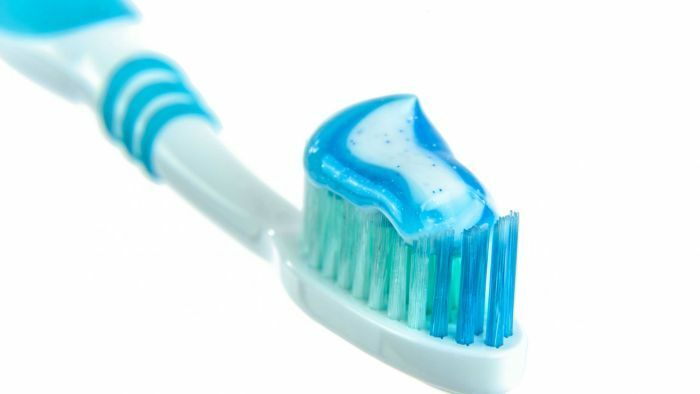 It seems that the only toothpaste sold in Australia which contains triclosan is Colgate Total, which was the subject of an article in the SMH in 2014.
Colgate Total, one of Australia’s most popular toothpastes, has come under international pressure over health concerns connected with one of its active ingredients, triclosan. Whilst Colgate claim there is no problem with triclosan in toothpaste, they have nonetheless released a triclosan free Total toothpaste which they claim is better than the original formula. Why does Colgate have a range of “Sensitive” toothpastes that give the impression of targeting certain specific issues like gum disease, whitening etc yet the tubes all have identical ingredients?